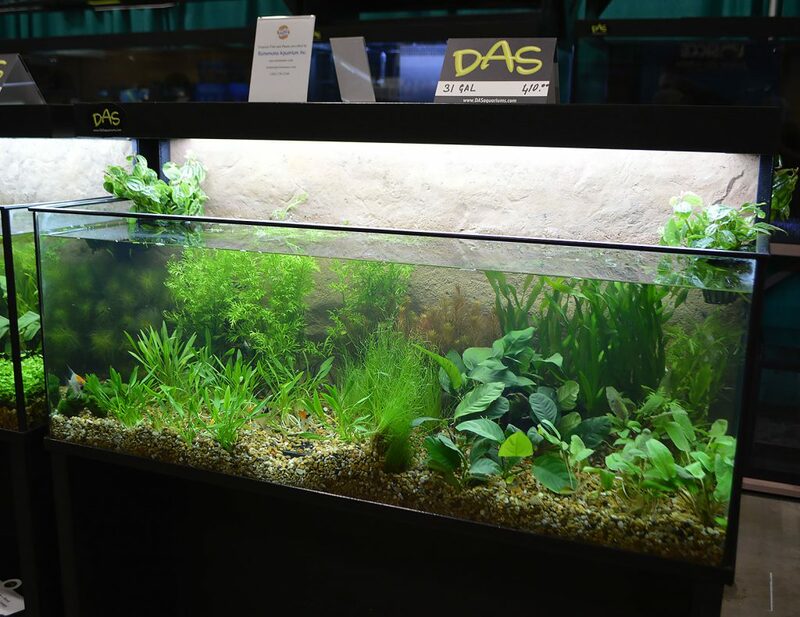 Perhaps reflecting the much larger freshwater audience that exists in the U.S., beautiful freshwater aquaria dominated the vendor displays at the 2016 Aquatic Experience – Chicago. 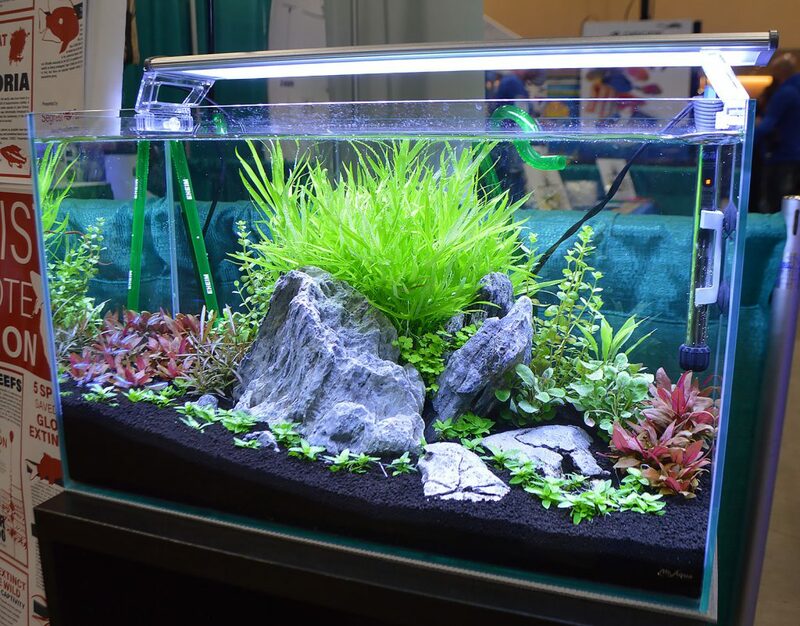 Some vendors hired well-known aquascapers to further push the envelope, creating what could be described as true works of art, only to be seen and enjoyed for a brief three-day period on the convention floor. 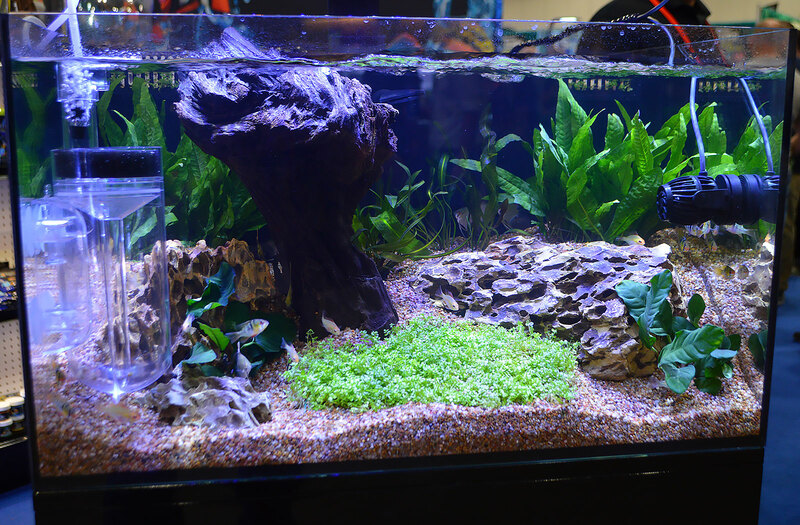 There were some downright captivating freshwater displays this year, as evidenced by the fact that at the end of day one, when I reviewed the photographs I took, I realized I hadn’t photographed a single marine-themed product or display! 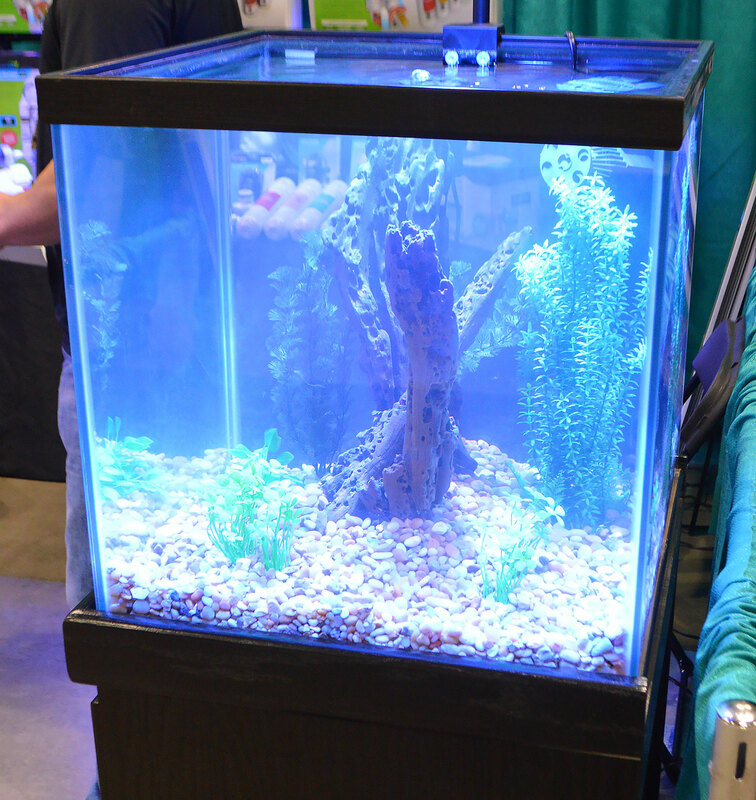 The Aquatic Experience – Chicago offered so many freshwater aquariums to review that we’ll have to publish multiple installments. Enjoy Part 1, and get ready for even more in Part 2. 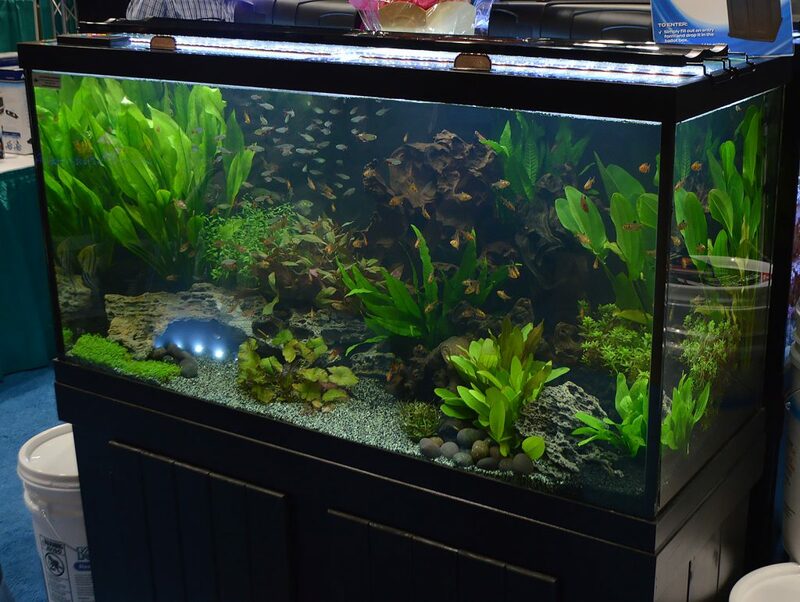 Plants and Angelfish fill this low and wide aquarium on display by Custom Aquariums. 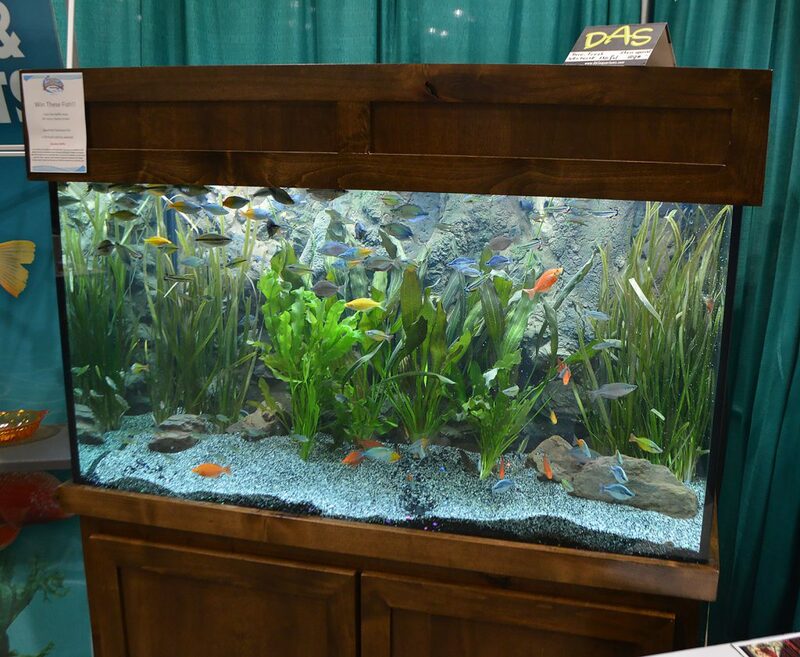 Plants and Rainbowfish on display by the Florida Tropical Fish Farmers Association (FTFFA). Dutch Aquarium Systems (DAS) had many aquariums on display, both empty and filled to the brim with livestock. 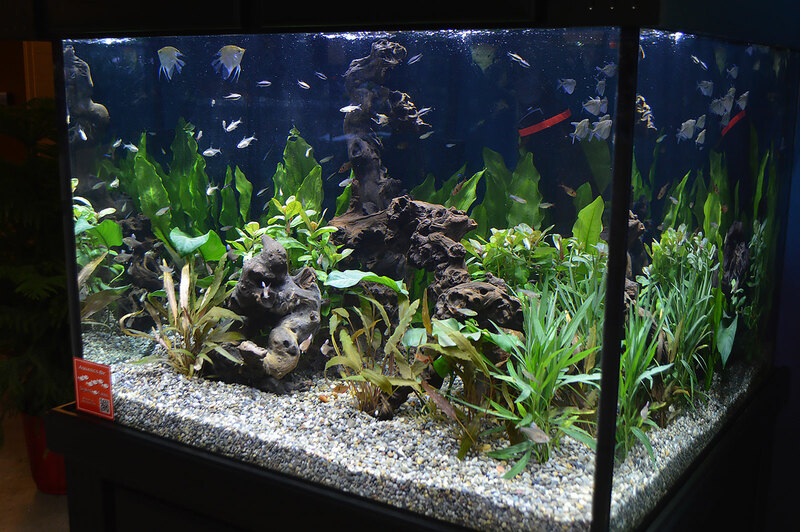 Here’s a look at the first of several. Two more side-by-side planted aquariums on display by DAS. 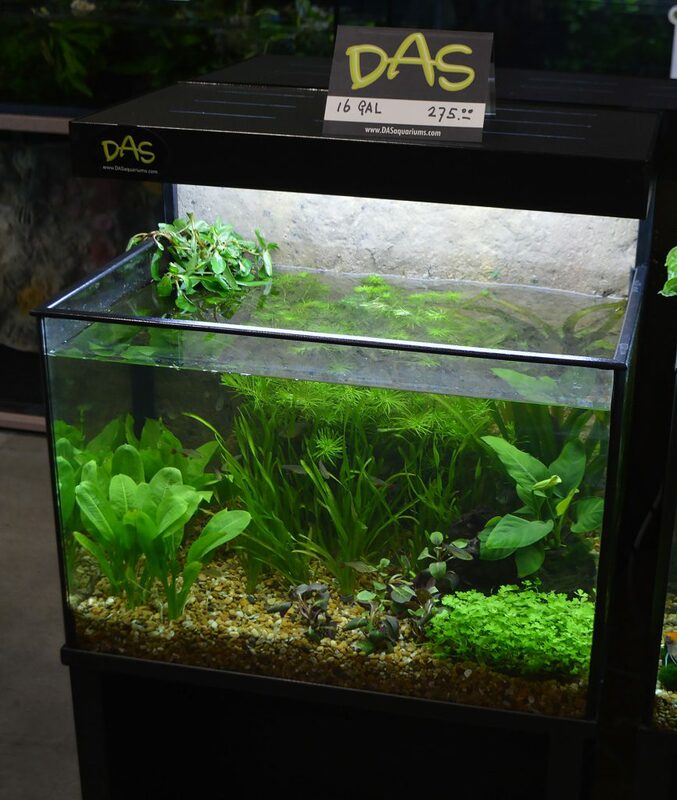 One more look at a display set up by DAS. 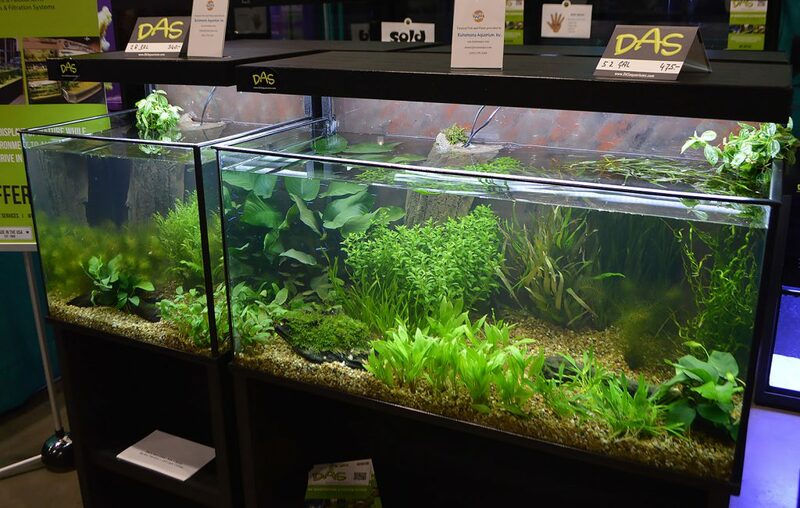 Plants and fish on display by wholesaler Apet, Inc.
Segrest Farm’s planted aquarium featured the small freshwater pipefish Enneacampus ansorgii. 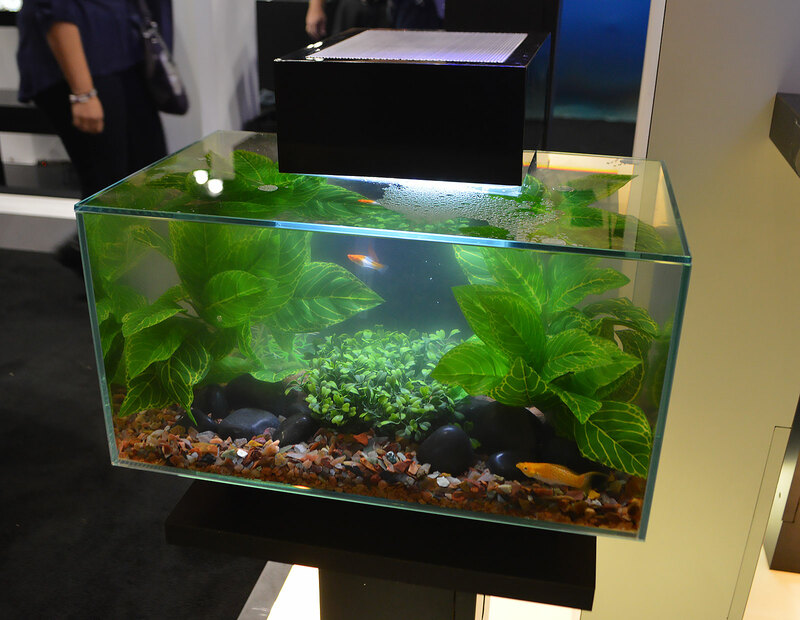 Livestock wholesaler Sunpet had a stunning shoal of Blackberry Silver Dollars roaming around this large cube aquarium. 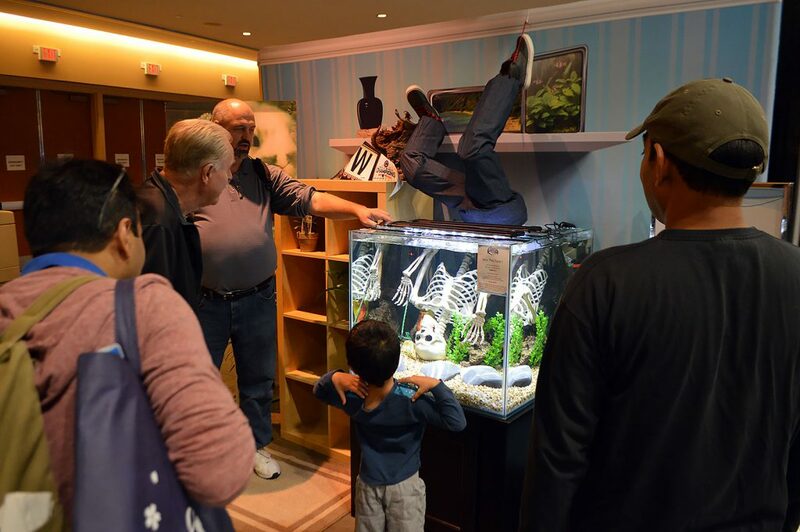 WPA’s whimsical Piranha display drew crowds. 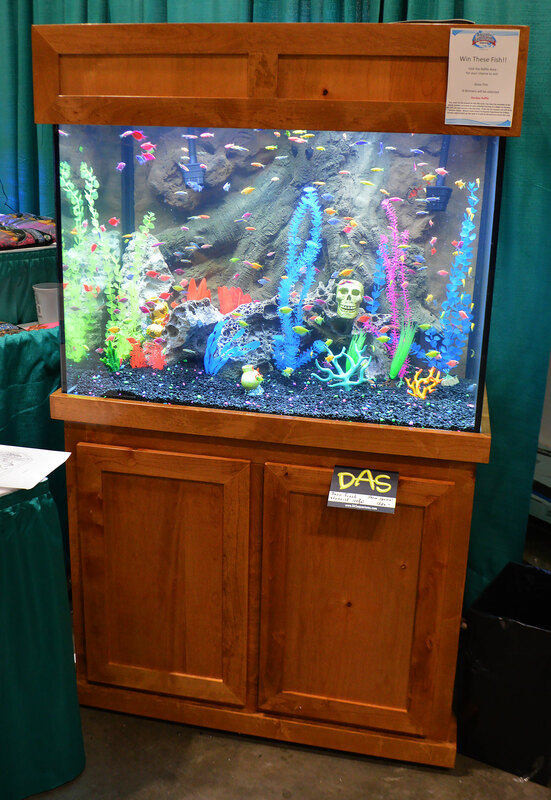 Another Aquatic Experience display at the entrance to the show featured Goldfish. 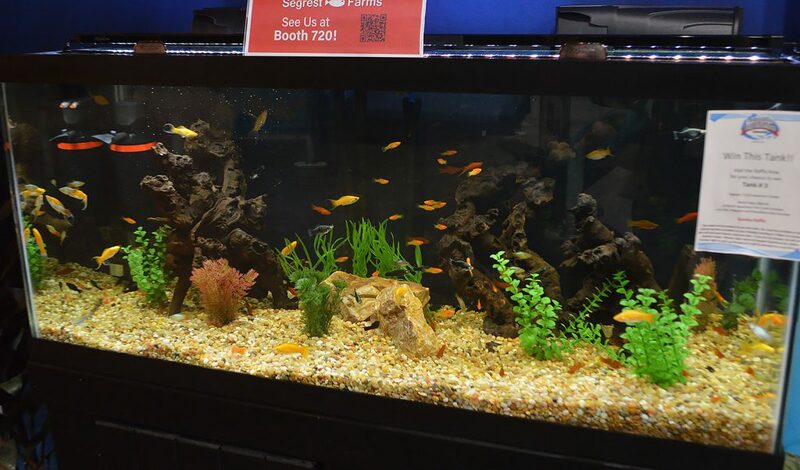 Mollies and Swordtails furnished by Segrest Farms filled this Livebearer display at the entrance of the show. 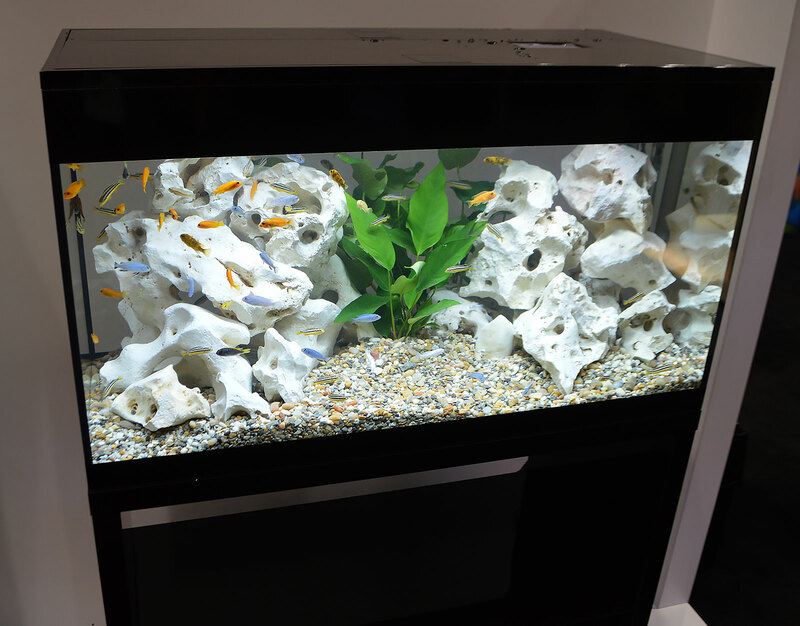 Another of the show displays, this one highlighting fish from the Amazon. 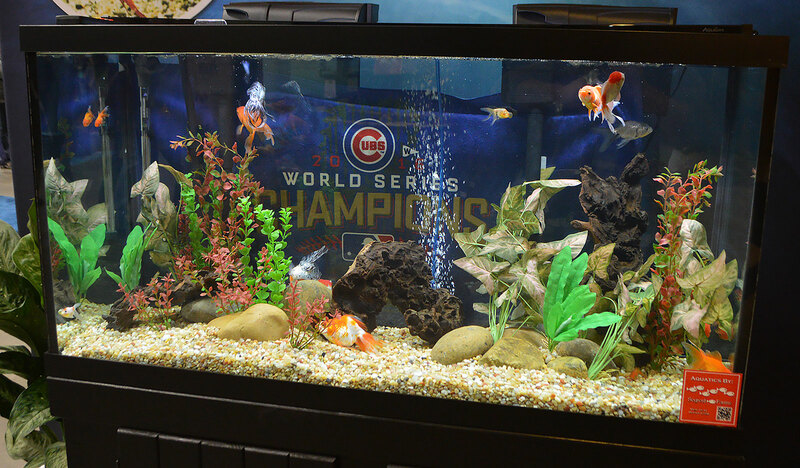 One more display at the show entrance, featuring hordes of GloFish. 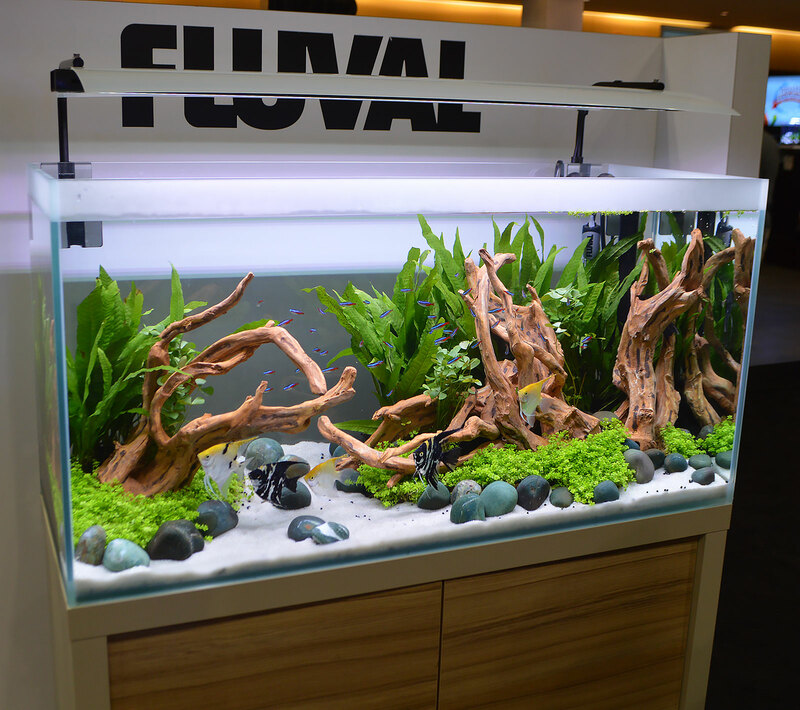 Fluval’s floorspace offered up several beautiful planted aquariums. Update – we’ve learned that Karen Randall of the AGA can be credited with this aquascape’s design. 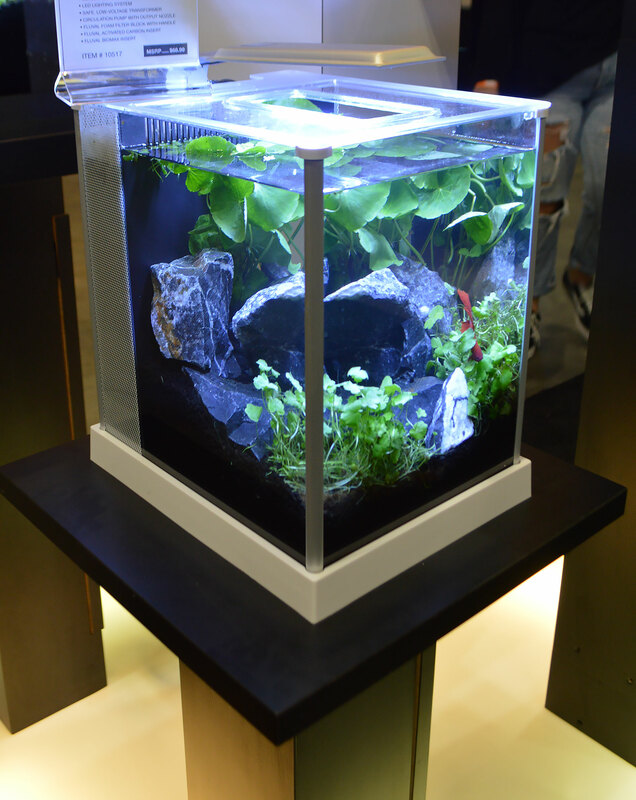 The Fluval Spec III, a 2.6-gallon nano tank on display. The Fluval Spec V display featured fancy guppies. 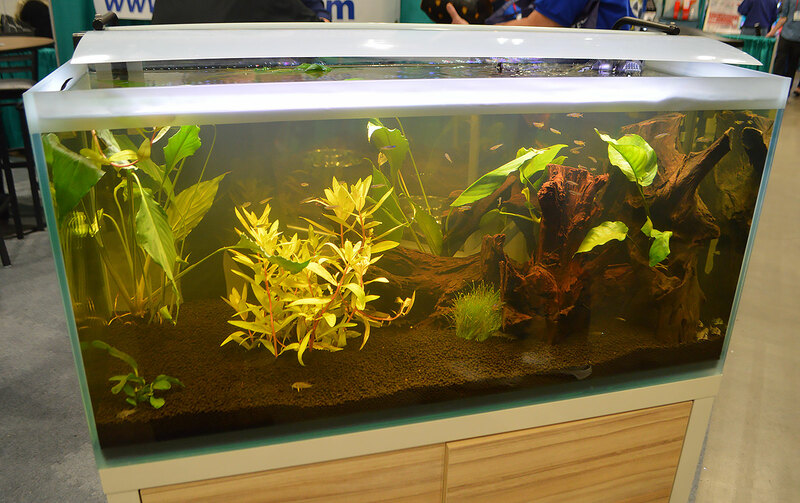 The Fluval Edge, shown here with naturally-themed artificial plant aquascaping. 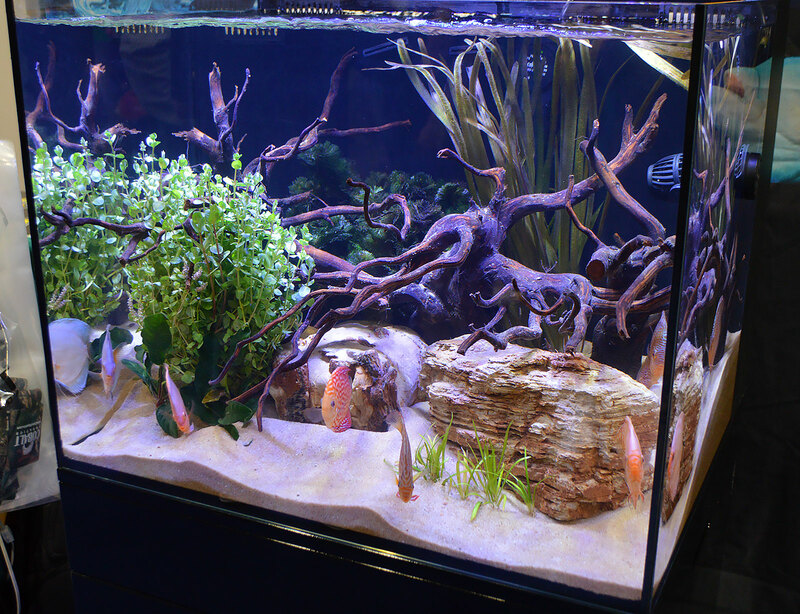 Assorted Lake Malawi mbuna add active color to this aquarium displayed by Fluval. 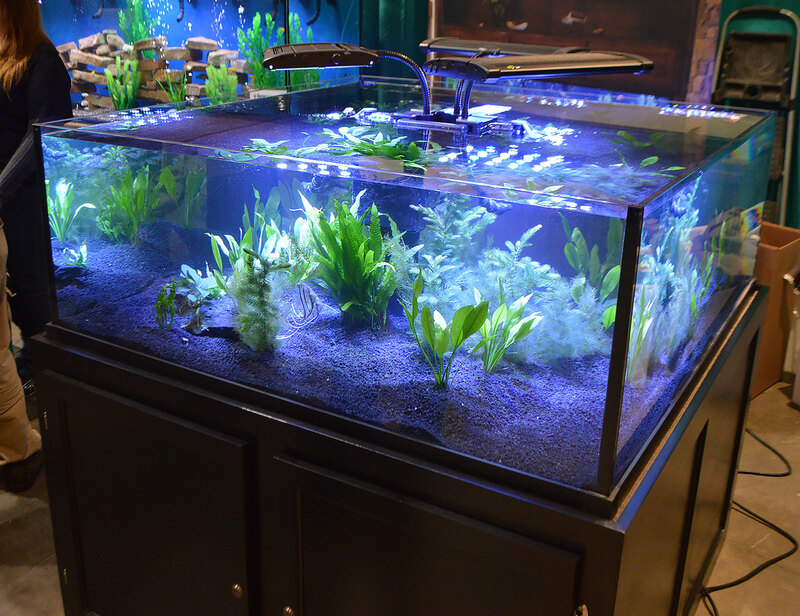 Chunks of blue glass add a twist to this otherwise naturally-themed aquarium in the Fluval booth. 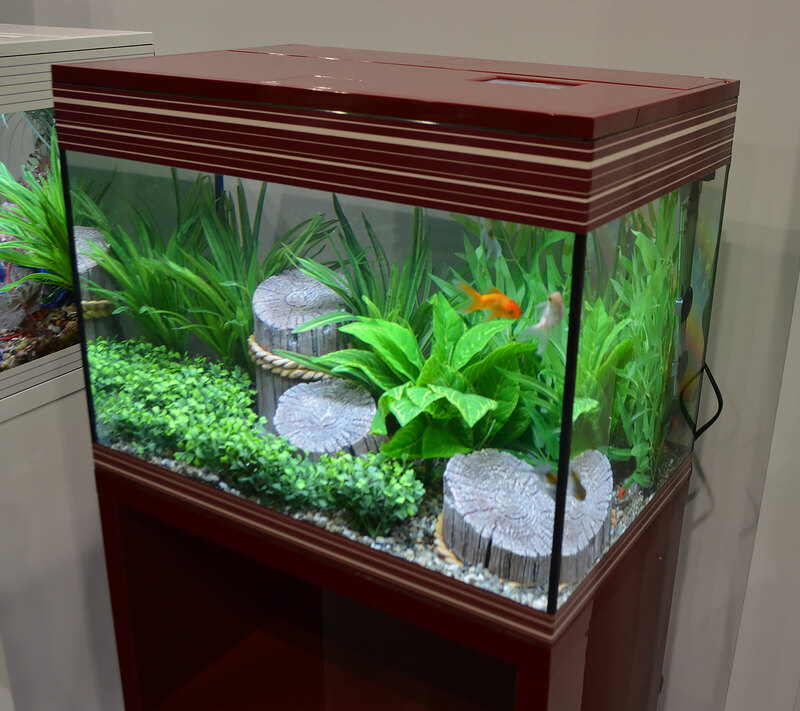 A charming goldfish aquarium on display at Fluval’s booth. 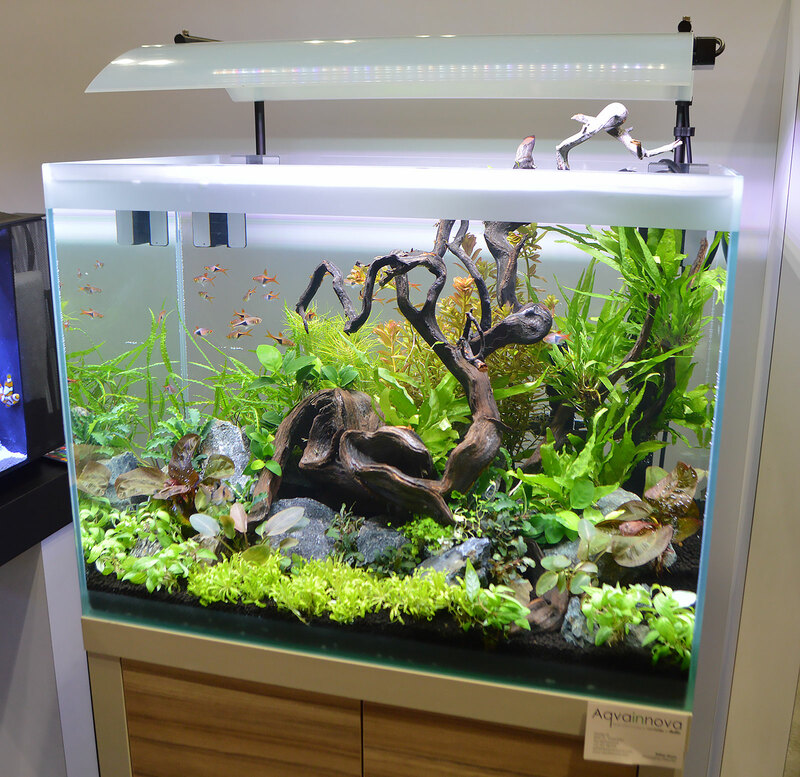 Another strongly aquascaped planted aquarium shown off by Fluval; note that this is the same aquarium aquascapers used for the 2016 Aquascaping Live! 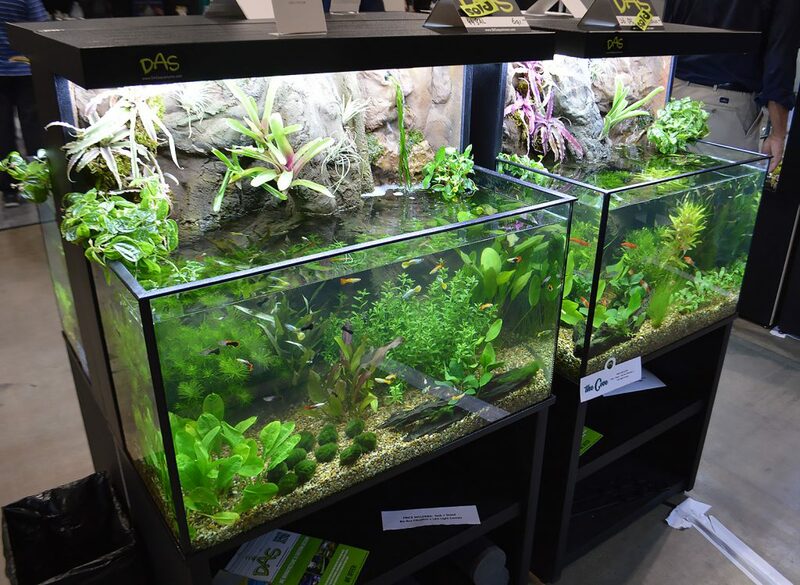 competition at the show. 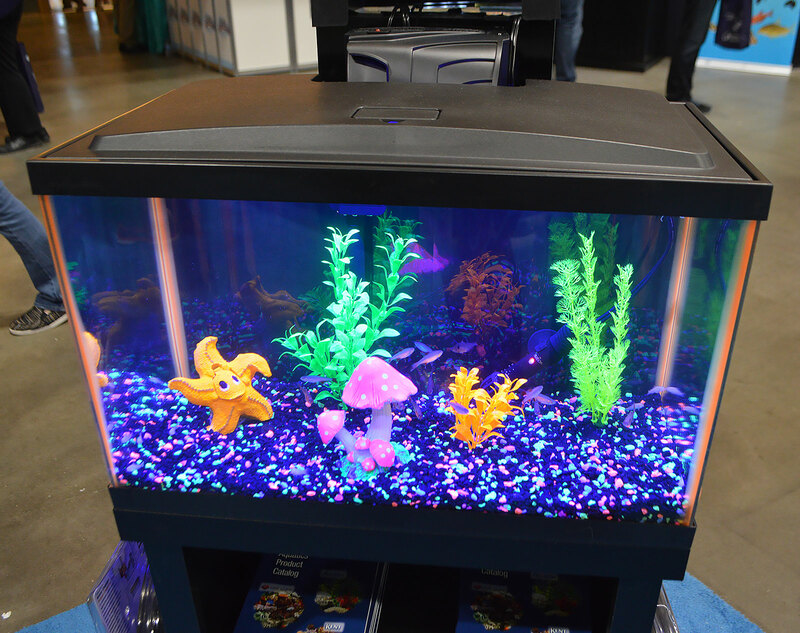 Aqueon’s aquariums included this youth-themed fish tank perfect for GloFish. 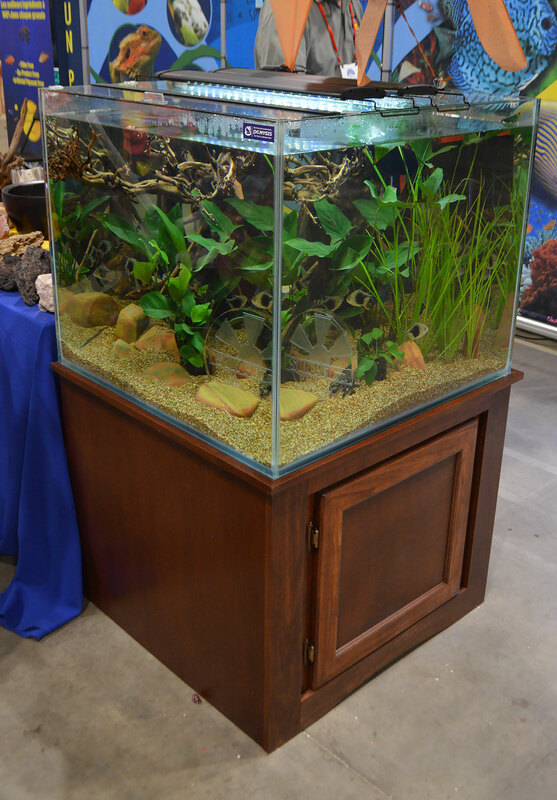 A large planted aquarium at the front of the Aqueon floorspace, this one set up by Old Orchard Aquarium. Cobalt introduced their new C-View line of aquariums at the Aquatic Experience – Chicago. 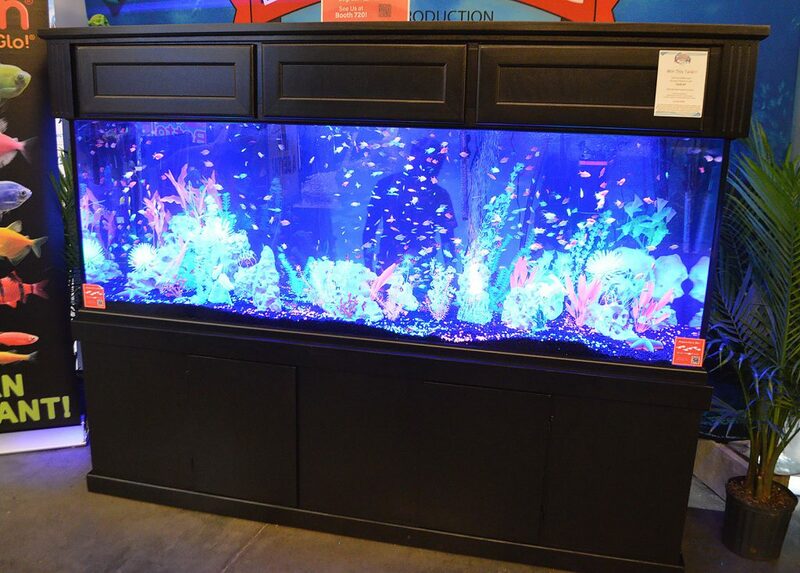 These Colbalt C-View aquariums feature low-iron glass, non-tempered rear panels (to allow for drilling), and piano lacquered stands to increase longevity. 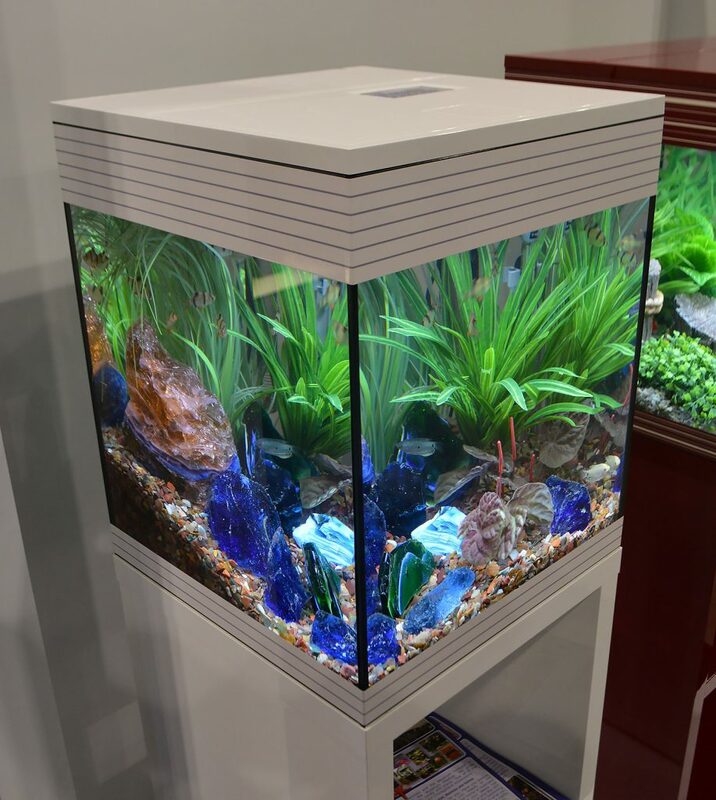 The cube style aquarium on display at the Aquatic Life booth. 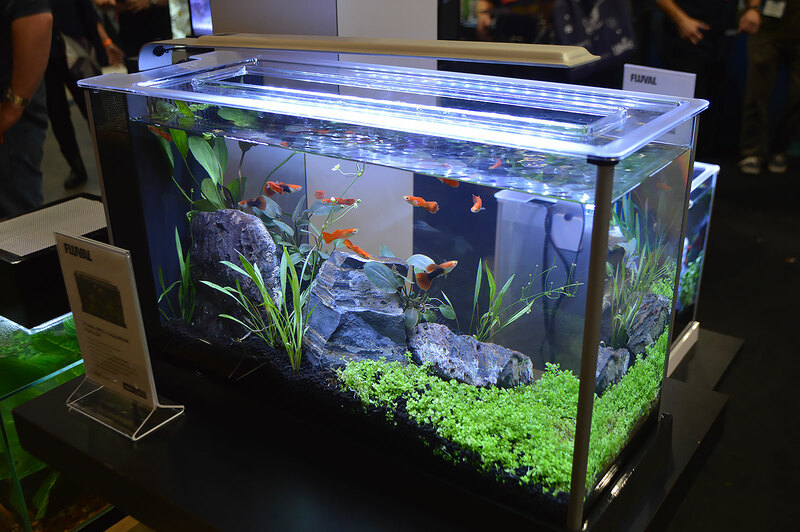 There is so much more in store in Freshwater Tanks of the Aquatic Experience 2016, Part 2.